James Rowe spoke to Wolverhampton Wanderers midfielder Elliot Watt, exclusively for WFi. They discussed the 18-year-old’s experiences at youth level for Wolves and Scotland, and what it was like to work with Nuno Espirito Santo and the first team. You made your debut for Wolves in Carabao Cup match v Sheffield Wednesday last August. What was it like for you to make your first appearance for the club and do you have any memories of that match in particular? As you can imagine it is a great feeling to make a first team appearance, but to do it at a great club like Wolves is very special. I remember it quite clearly. We trained two days before, doing team shape in what I thought would be the starting XI, and I was not in the team. But at training the next day I was in the starting XI which I did not expect. I was hoping I would be on the bench, but to find out I was starting was a great feeling. Going into the game the lads were brilliant. They helped me through it and I just tried to play my game. Although I feel I did not perform to the best of my ability and I felt I could have had a bit more of an impact and took a few more risks, overall it was a great experience and I am hoping more will come soon. Did the Wolves manager, Nuno Espirito Santo, give you advice before the game, or any specific instructions? No, not necessarily. I had a quick chat with assistant Ian Cathro before the game and he told me that the reason I am playing is because they believe in me and to go out and play my game. The Gaffer did not really say much as I spent the majority of pre-season with him, playing against FC Basel and Young Boys and training regularly with the first team. He just trusted that I could go out and not let him down. The manager not saying anything, to me showed me that they believed in me. The majority of the encouragement came from the players — Conor Coady and John Ruddy, as they are great first team players playing in the Premier League, and it was great to have their belief behind me during the game. You have also represented Scotland at youth level. Do you have specific memories of the games or of opponents that stood out? Yes, definitely, My first appearance for Scotland was playing against Switzerland at home and I stated the game and scored a penalty. The Switzerland striker really stood out for me. He is at Manchester City now — a lad called Lorenzo Gonzalez. That was my first experience of coming up against a real top quality player, so it was a real challenge and a good experience. I also came up against Yacine Adli, a young winger who plays for Paris St Germain. I played against him when playing France in the Euro’s. He was a very skilful player. 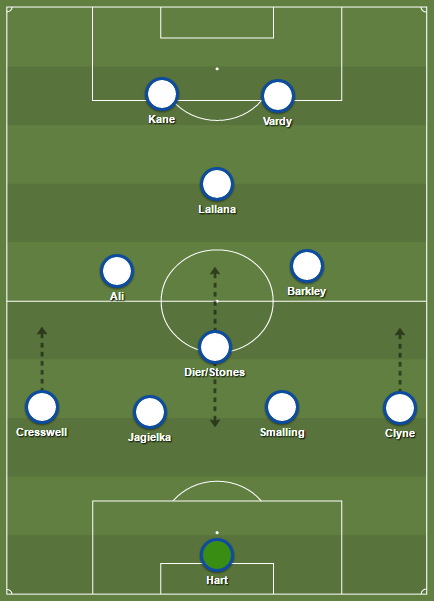 One player that stands out is Lewis Cook who plays for Bournemouth. I came up against him when playing England’s under 21’s in the Toulon Tournament in France last summer. I only played five minutes in that match but even watching him from the bench you can clearly see why he has played so many Premier League games. His speed of thought is tremendous and the way he moved the ball — he was great to watch. 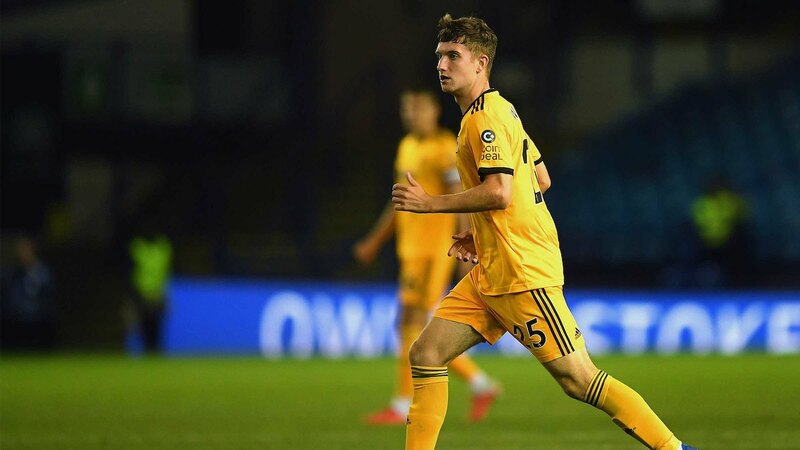 You are currently part of the Wolves under-23 squad among your teammates at the moment who do you think has what it takes to go all the way and become a fully fledged Premier League professional footballer? I think there are quite a few that stand out. For me Niall Ennis he has had quite a tough couple of years with a few bad injuries. I think he has broken his leg twice — one of which was a meniscus. But at the minute he is starting to get back into the form he showed before his injury when he was playing for England, and was one of the best young players in the country. If he stays injury free and he could develop he could go right to the top. Benny Ashley-Seal is a really powerful striker and very clinical. He is one of the leading goal scorers in the Premier League 2 at the moment. Also, Ryan Giles, our left wing-back. He has got the directness and speed to cause anybody problems, and he could go right to the top if he believes in himself and gets the right opportunity that every young player needs. With your experience at youth level, representing Scotland, and being involved in Wolves first team training, are there managers in your career so far that have played a key role in your development? The one that stands out massively is Scott Gemmill. He is Scotland under 21 coach. When I was at under 15 level with Scotland I went to a Scotland training camp up in Leicestershire. It was for the Scottish players who are based down in England, and after the second day when I was ready to go home I was walking back to the car and he shouted from behind to catch my attention. He told me that technically I have all the ability to get into the team and become a great player. Physically I have always been a chubby lad and not the most mobile, but he told me if you started to eat the right foods, apply yourself properly, and get yourself as fit as you could, then I could go on to represent Scotland at numerous age groups — which I have done. He is the one that really stood out for me, especially at a young age, to give me that kind of advice and believe in me like that. That advice made me go away and do research into when I should be resting, drinking water, etc. That was a real eye opener for me in terms of what I need to improve to get to the next level. Obviously you are still very young and you have got your whole career ahead of you. What would you like to achieve in football? I would love to have a 10-15 year career in the Premier League, and as every kid would say, to play Champions League football. Hopefully one day represent Scotland at a major tournament, whether that be the Euros or a World Cup. It has been a long time since Scotland qualified for a major tournament so to represent them at one would be a proud achievement for me and my family. So to have a long career in the Premier League and win it one day. Champions League football, and represent Scotland at a major tournament — they are the dreams I have that will hopefully come true.